* What Praise Can I Play on Sunday? 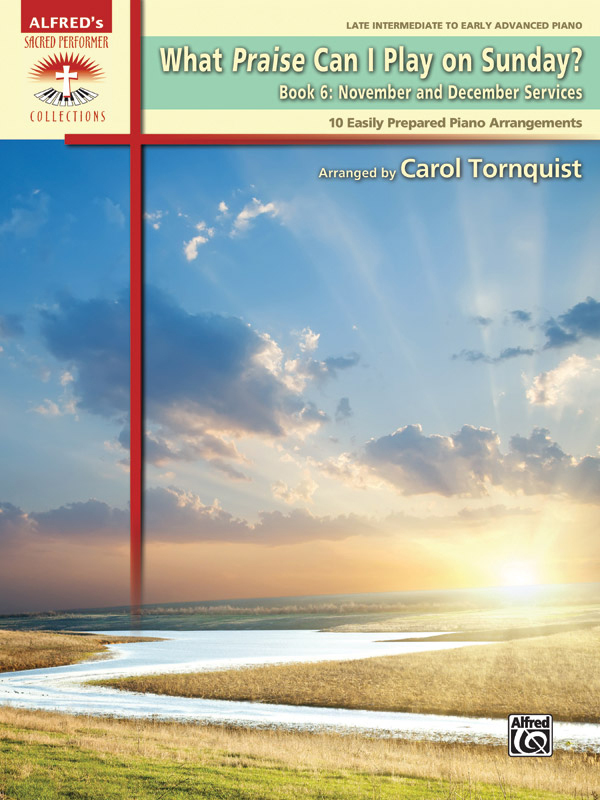 is a series of six books of worship favorites, each book designed for busy pianists who require accessible arrangements. * Book 6 contains selections for holidays and holy days that occur during November and December, including All Saints' Day, Thanksgiving, Christ the King Sunday, Advent, and Christmas. * Titles: 10,000 Reasons, All the Earth Will Sing Your Praises, Breath of Heaven (Mary's Song), Emmanuel, Find Us Faithful, Glory in the Highest, Immanuel (From the Squalor of a Borrowed Stable), Joy Has Dawned, Joy to the World (Unspeakable Joy), Mary, Did You Know?